One of our most popular hulls and a true blue water performer tried and tested in some of the most challenging conditions around the Philippines. This offshore deep V provides efficiency and handling in a very affordable package. 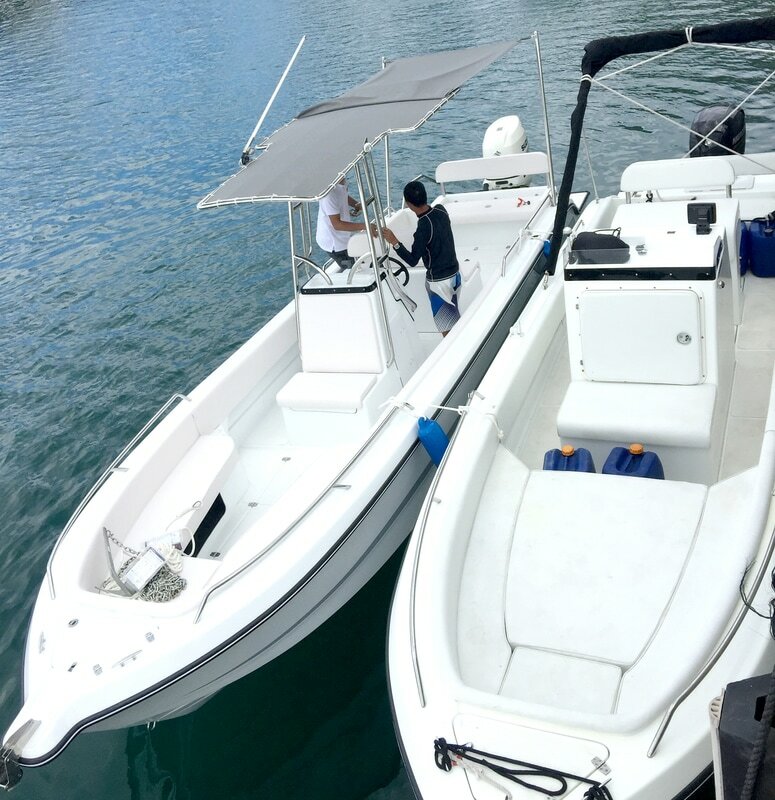 Designed around a 150hp outboard this boat proves fast and efficient and is ideal for those trips offshore or to the remote islands around the Philippines. Our sister company Skipper Charters operates 4 of these vessels currently in Palawan in El Nido and Coron and regularly doing 100 nautical mile round trips from El Nido to Linapacan or 80 nautical mile crossings between El nido and Coron. Available with up to 600 litres of fuel capacity this boat can really take you places and its deep V hull makes light work of most conditions.